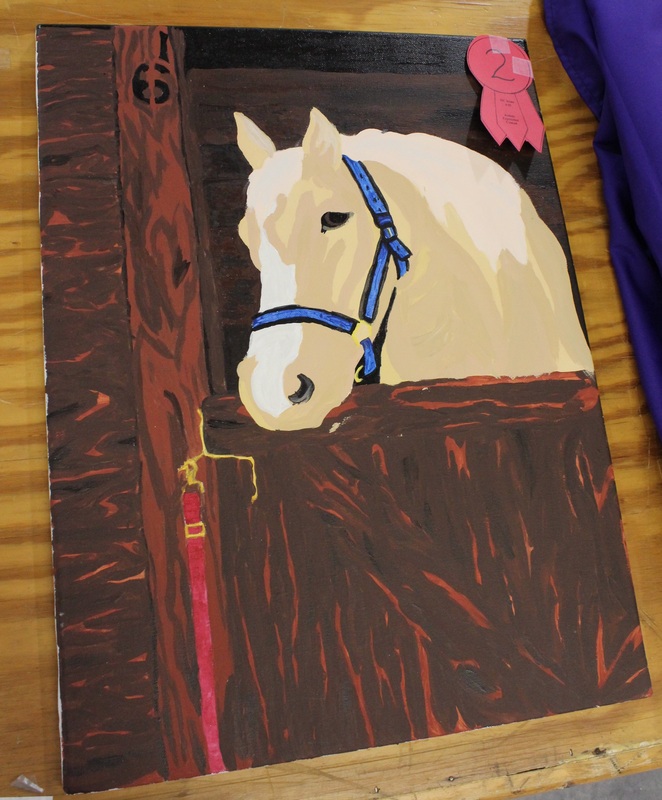 The Horse Painting Contest will encourage the 4-H member to apply artistic talent within the Horse and Pony Project, increase knowledge and skill in equine-related painting and learn the value of developing visual exhibits in areas of specific interest. Only one entry per participant is permitted per contest category. 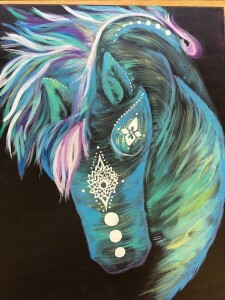 Each exhibit must be the original works of the participant that has been completed since the previous year’s contest and that relates to the Horse and Pony Project. This contest is open to Cloverbuds and Junior and Senior 4-H’ers. Please thoroughly read the Horse Painting Contest section in the NC 4-H Horse Program Rulebook (updated annually) for additional information on contest rules, regulations, submission procedures, etc.